The EUREVO model was developed based on the DIWER model. In addition, when creating it, we used the results of experiments obtained by the research and development department of WEGER, therefore we are talking about the DIWER EVO model. Unlike the previous model, EUREVO is equipped with thermally separated plastic profiles for better thermal insulation. Also in this model, a system of clamps is maintained, providing easy access to all structural elements due to the blocking of profiled panels using plastic seals. 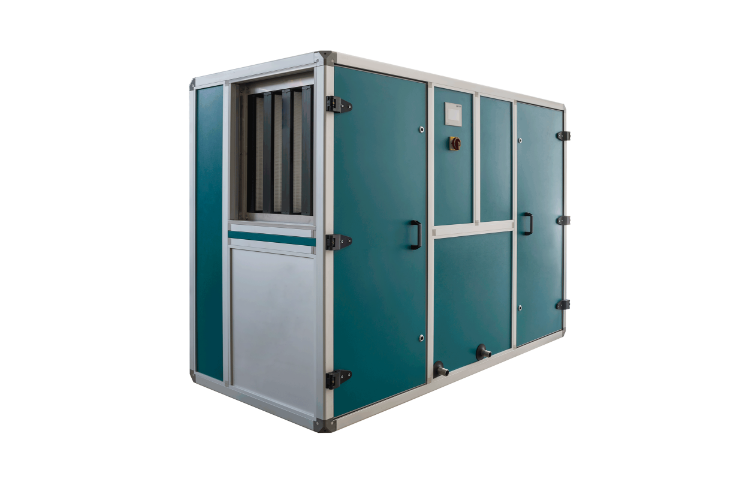 The EUREVO design for air handling units is particularly resistant to external influences. All joints and connections of individual sections of installations are sealed with a rubber tape; Starting with frame size 1512, sections are supplied with a mandatory pre-installed mounting frame. The hygienic certificate obtained in accordance with the standards EN 1996-1998, allows the use of installations at the facilities of the food industry and health care.